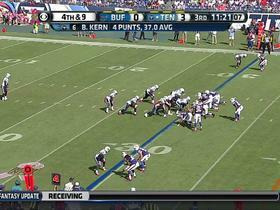 The Titans released Fowler on Tuesday, Jim Wyatt of the Titans' official site reports. 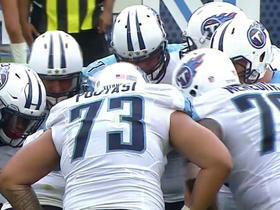 Analysis: Fowler signed with the Titans in late October, though he was inactive for Sunday's game against the Patriots. The 28-year-old has spent the last three seasons with Tennessee, and it wouldn't be a surprise if he ends up joining the Titans' practice squad. Fowler (coach's decision) is listed as inactive for Sunday's game against the Patriots, John Glennon of The Athletic reports. 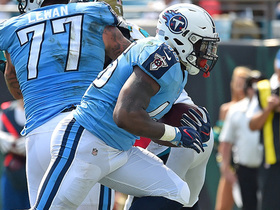 Analysis: Fowler is a healthy scratch for a second straight week, while the Titans roll with the backfield trio of Derrick Henry, Dion Lewis and David Fluellen. Fowler signed a contract with the Titans on Monday, Jim Wyatt of the Titans' official site reports. Analysis: Fowler spent the last three seasons with Tennessee, appearing in 42 games before being released in December 2017. He'll figure to provide a blocking option in the Titans' backfield and contribute on special teams. Fowler signed with the Falcons on Monday, Vaughn McClure of ESPN.com reports. Analysis: Fowler spent his first three seasons in the league with the Titans, rushing 10 times for 20 yards and two touchdowns. Most recently, he spent the offseason with Seattle until being cut last week. Fowler, who is the only fullback with NFL experience on the roster, will compete against Ricky Ortiz and Luke McNitt for the starting gig. Fowler was waived by the Seahawks on Sunday, Bob Condotta of The Seattle Times reports. Analysis: Fowler's release leaves Tre Madden as the only remaining fullback on Seattle's roster. Fowler will look to find a role with another team before training camp concludes. Fowler signed a reserve/future contract with the Seahawks on Wednesday, The Seahawks Wire reports. Analysis: Fowler earned a spot on the Titans' 53-man roster to start the 2017 season, but saw his usage drop as the season wore on, leading to his release. 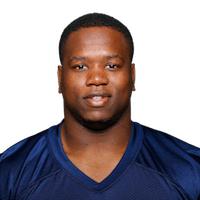 The 27-year-old has been on Seattle's practice squad since mid-December and will continue in the team's offseason program. The Seahawks signed Fowler to their practice squad Tuesday, Brady Henderson of ESPN.com reports. 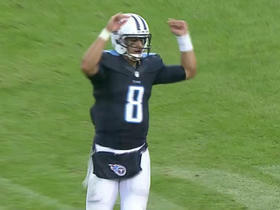 Fowler was released by the Titans on Saturday, Cameron Wolfe of ESPN.com reports. Analysis: Fowler had been inactive the last two weeks as the team appeared to move away from the prototypical fullback role. 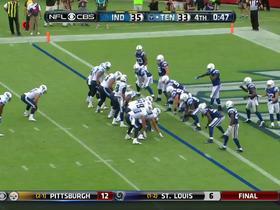 The move creates room on the Titans' 53-man roster for linebacker Josh Carraway. Fowler (coach's decision) is inactive for Sunday's game against the Colts, Jim Wyatt of the Titans' official site reports. Analysis: The Titans' decision to keep the fullback inactive likely means the team will make more use of three-wideout sets Sunday. Fowler had seen fewer than 10 offensive snaps in each of the last three games, so his presence as a blocker out of the backfield shouldn't be missed too much. Fowler recorded a one-yard run on his lone touch during Sunday's 24-20 win over the Bengals. Analysis: DeMarco Murray scored three touchdowns in goal-to-go situations, demonstrating why Fowler isn't called upon much in short-yardage situations. The fullback has just two touches this season. 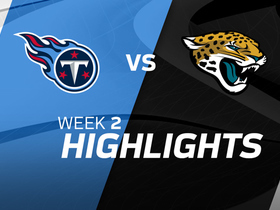 Watch the highlights from the Tennessee Titans 37-16 Week 2 victory over the Jacksonville Jaguars. Tennesse Titans fullback Jalston Fowler pushes through for 3-yard touchdown vs. the Jacksonville Jaguars in Week 2 of the 2017 NFL season.